Everyone Knows Rural Americans Are Overdosing on ‘Despair,’ Right? Rural drug deaths can be explained by regional economic collapse, according to the most popular media narratives. The only problem is that the researchers never said as much. True or not, story was apparently just too good for pundits to to pass up. 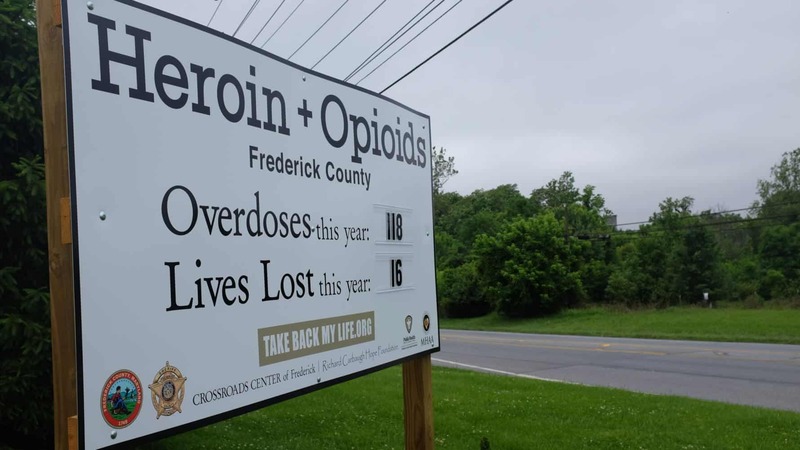 And nowhere were these deaths from drugs, alcohol and suicide increasing faster than in rural America – in fact, in the same places that voted for Donald Trump in 2016. Only, what we knew wasn’t true. Isn’t true. Yes, there has been a startling increase in overdose deaths, but no research has ever found that declining economies were the primary cause. Nor has this increase in drug-related deaths been worse in rural areas than urban ones. Still, we see this mix-up all the time. Politics, drug abuse, a changing culture and failing economies have been jumbled up and rural places (and Rust Belt towns) have been profiled as prime examples of how economic despair leads to drugs and then to Trump. Just this week, The Chronicle on Higher Education reported from the Missouri boot heel on “deaths of despair,” shortened life expectancy, Trump votes and a failing local economy. This story has been done dozens of times. Often the reporter goes to Southern West Virginia or a little town in Ohio or a coal camp in Eastern Kentucky. After all, if you are looking for people dying from despair and addiction, all caused by economic collapse, where else would you go but rural America? Despair, drugs, unemployment, falling wages, Trump votes and rural — it was the perfect story. Only, again, it’s not true. The evidence is that the increase in drug overdose deaths is not driven by the economy. And, if anything, the surge in drug-related fatalities has been more an urban than a rural phenomenon. Economists Angus Deaton and Anne Case first described this increase in deaths among white men by overdose, alcohol and suicide in 2015, labeling them “deaths of despair.” Deaton and Case suggested that some combination of economic decay, a decline in marriage rates, competition from imports and general stagnation might have led to these deaths. Their research landed just in time for the 2016 election, when reporters sought to explain why Trump was gaining so much support, especially among white men. After all, Trump spoke often about the country’s decline and described “carnage” in American communities. It all fit: failing economies in isolated places led to suicide, drug addiction and a Trump victory. The two economists are still searching for a “cause” of the sharp increase in drug overdose deaths since the 1990s. They mention the decline in marriage rates and childbearing, the decline in unions and the stagnation in wages. These factors, perhaps, brought about a “cumulative disadvantage” among some groups that led to the increase in drug taking and deaths. Now, others have looked at these deaths of despair and found even less evidence that they were caused by economy or by place. Daniel Simon, Andrea Tilstra and Ryan Masters found dramatic increases in deaths among white men from drug overdoses since the 1990s, but little evidence that there had been any “sizeable increases in suicide or alcohol-related deaths….” And the overdose deaths among white men were not related to the economy. Then last week, University of Virginia professor Christopher Ruhm published a paper finding that, at best, economic decline accounted for only a tenth of the increase in drug overdose deaths. Ruhm concluded that the increase in drug overdose deaths was driven by “changes in the drug environment.” From the 1999 to around 2010, the overdose epidemic was caused by prescription opioids, such as oxycodone. After that time, illegal drugs —heroin and fentanyl — caused the most damage. There was another change. From 1999 to 2010, overdose deaths increased rapidly for older white men while they dropped for younger white men. In 2010, those trends reversed. Overdoses increased rapidly among young men. As the supplies of illegal drugs (heroin and fentanyl) increased, drug taking shifted to younger and more urban men, a demographic attracted to risky behavior. If the opioid epidemic was driven by ongoing “despair,” Ruhm reasoned, you wouldn’t see this shift. Does this mean we’ll now see stories about how urban depression and economic decline in the cities was leading to drugs and votes for Democratic presidential candidates? Of course not – nor should we. This is not to say that drug overdoses aren’t a rural problem. West Virginia leads the country in drug fatalities. But it is followed by very urban Ohio, New Hampshire and Washington, D.C. Drug overdoses are high in Republican Kentucky and Democratic Massachusetts, which ranks 8th among states and D.C. in overdose deaths in 2016. With this latest paper by Ruhm and the further studies from Deaton and Case, maybe we can call an end to the stories that try to show that addiction is related to where you live or who you vote for. America has a drug problem. Everywhere. Bill Bishop is founding co-editor of the Daily Yonder and the author of The Big Sort: Why the Clustering of Like-Minded America Is Tearing Us Apart.